If you're looking for a car that's equipped with the technology you need to roam, consider the 2018 Nissan Altima. This popular mid-sized sedan is built with the modern driver in mind. It has advanced technology that will keep you informed and safe throughout your adventures. One of the most useful features in the Altima is the onboard navigational. 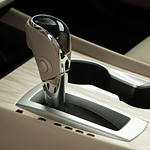 Nissan's proprietary system is available on many trim levels. It can be accessed on the bright and vibrant touchscreen. Whether you're going on a long-distance vacation or simply want to find a new restaurant in Valley Stream, the Altima will give you the directions you need to get there. The system will also work with the optional Drive-Assist display. Located directly in front of the driver's seat, it can give you turn-by-turn directions and vital information about your car's performance. Visit our showroom at Gregoris Nissan today to take a look at the 2018 Nissan Altima lineup. We'll be more than happy to set you up for a test drive.